You know those Costco muffins, I personally like them a lot, every time I go shopping there I usually come back home with a bunch. For a long time I thought their recipe has to be very complicated because they are way to good to be something simple but after searching online for a bit, I found several copycat recipes from which I picked one. Surprisingly it was very simple, of course it is a copycat and I don’t know how close it is to the original, but I wanted to give it a shot anyway. The cool part is that we made it into a bread instead of muffins and it was really great. Some people said it actually was more like cupcakes and not muffins but I think they were very good, maybe not 100% Costco but pretty darn close. Also it is one of the easiest recipes I have tried and since you are using cake mix, combinations are limitless. Think chocolate cake mix or lemon mix or you can try every cake mix box you see on the shelf. lol Enjoy! Mix all ingredients together in a mixer, without blueberries. 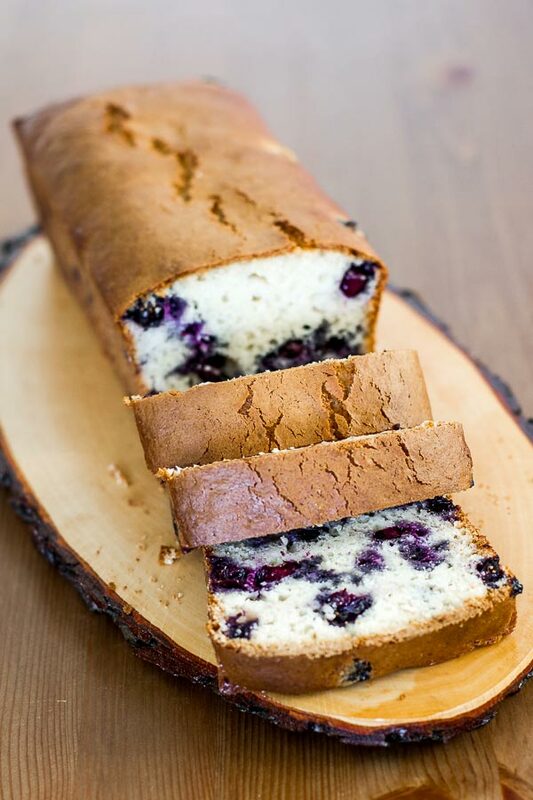 Sprinkle a tablespoon of flour over the blueberries and make sure they are all well coated, this will prevent them from sinking to the bottom of the cake. 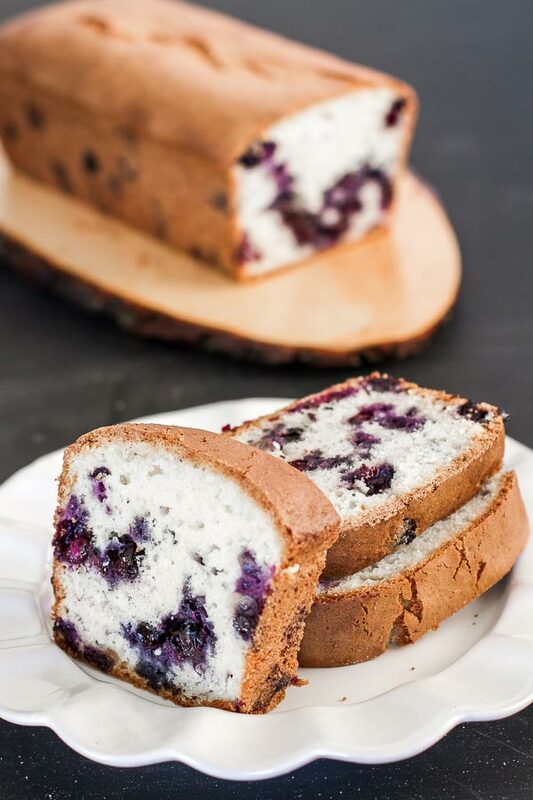 Gently fold in the blueberries with a spatula. Pour the batter into a long bread pan (12 in). Bake at 375° F / 190° C for approximately 40 to 45 minutes or until tops are lightly browned. is the cooking time correct? 20 minutes doesn’t seem long enough to me. Thanks! No, you are right. We did muffins with it initially. I fixed it now, thanks for pointing that out.